Zamalek have advanced to the 2019 CAF Confederations Cup semifinal after defeating Morocco’s Hassania Agadir 1-0 on aggregate. The Whites suffered a huge blow when Tunisian midfielder, Ferjani Sassi, had to be subbed out due to injury for Mohamed Ibrahim in the 16th minute. 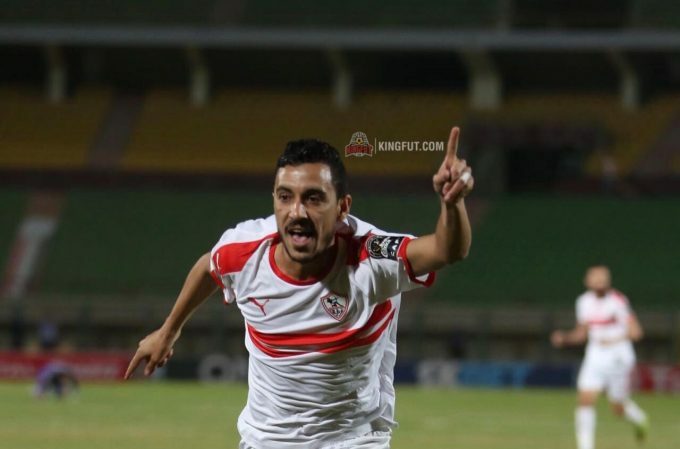 Zamalek maintained pressure from the beginning aiming to take the lead early; however, the Gazelles de Sousse maintained their solid defence throughout the first half, trapping Mahmoud Kahraba in the offside trap several times. Kahraba came close to break the deadlock after receiving a cross from Mohamed Ibrahim, but his header went very wide away from the Moroccan goalkeeper. Hassania Agadir’s first threat came when they were awarded a foul outside the box in the 21st minute; however, Jala Daoudi’s shot came wide above Gennesh’s goal. Three minutes in the second half, the Whites managed to open the scoresheet through Ibrahim Hassan who shot Mahmoud Alaa’s deflected shot into the net, to give the lead to the White Knights. Substitute, Karim El Berkaoui was close to equalizing for the visitors in the 61st minute as his curler went by inches to Gennesh’s goal, marking the first threat of his team in the second half. Youssef Obama came very close to double the lead in the 71st minute after receiving a wonderful through pass from Khaled Boutaib to come one-on-one with the goalkeeper, however, his shot was deflected off the goalkeeper’s chest. Three minutes later, Hassania Agadir most dangerous chance came through Imad Kimaoui who’s shot was deflected off the post, followed up by El Berkaoui’s shot, which went wide. Ibrahim Hassan managed to find the net again in the 85th minute after receiving a deflected shot in front of the goal, however, the goal was cancelled for appeared handball on the 27-year-old. The Whites manage to reach the CAF Confederations Cup semifinal, facing the winner between Etoile du Sahel and Al Hilal.